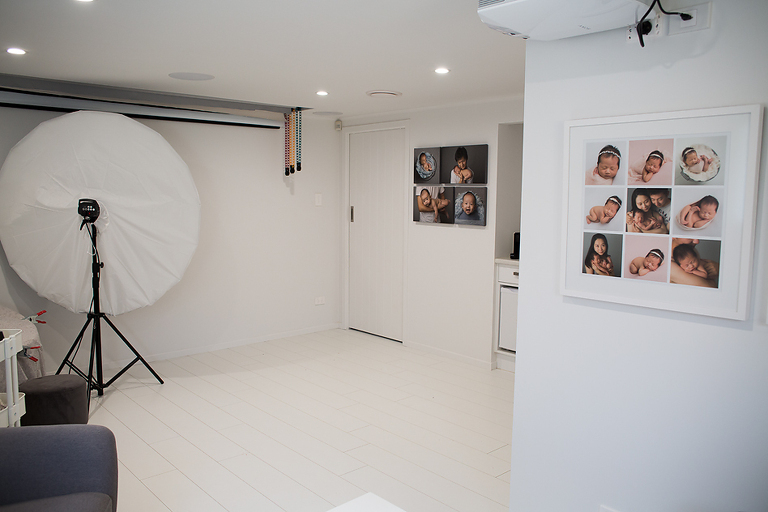 My studio is located in my home in Hillpark, Manurewa, super easy access off the motorway. 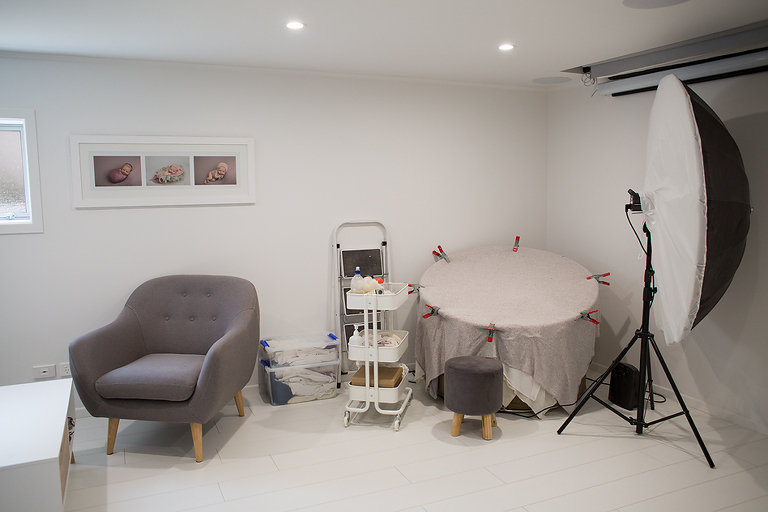 It is purpose built with everything I need for photographing newborns, babies, toddlers and families. It has a kitchenette for you to make yourself a drink so you can sit back and relax while watching me work.